Classic favorite 5 in 1 Excalibur Castle Slide Combo rental. Riders will experience enjoyment of bouncing and jumping. Then sliding down an inflatable slide. "YEAH!!" do it all over again. 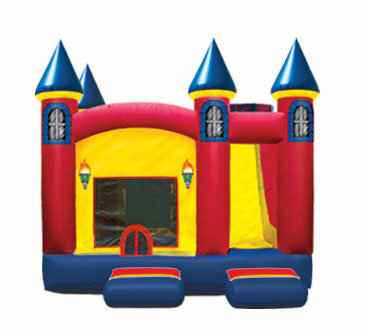 Excalibur castle slide combo rental is classic and timeless inflatable rental theme. Appropriate for all party and event themes. Bounce, shoot hoops, climb and slide the day away in our Excalibur castle slide combo rental.